Me: The downside to teleworking is that there is no vending machine nearby. Me: Well maybe that is the good side. Coworker: You must have other garbage. 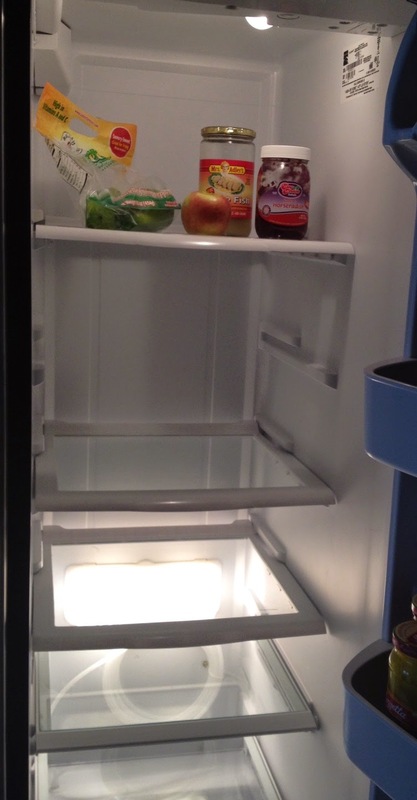 Me: I'm going to send you a pic of my fridge. Me: Me and my stupid "Can't eat what I don't have!" diet. Coworker: That's horrible. And the lack of food other than the Gefilte fish is horrible too. Me: I laud your ability to know exactly what's in the jar labeled "____ fish." Not many would have know. Especially as there are pictures of beige, distinctly un-fish-shaped lumps on the label!